Sis Schengen: discover the Schengen Infomation System and what to do in case of an unlawful alert is issued. The SIS Schengen (Schengen Information System) was established as a consequence of the introduction of an area for free movement of people, which is subsequent to the abolition of interior border checks among Member States, and set by the Schengen Agreement singed on 14 June 1985 and the related implementing Convention of 19 June 1990. In this regard, it has been recognized the need to introduce a system which is able to guarantee security and public order of contracting Member States in addition to those measures already taken by each Country, such as the strengthening of police and judicial cooperation and the harmonization of policies regarding visas and asylum. 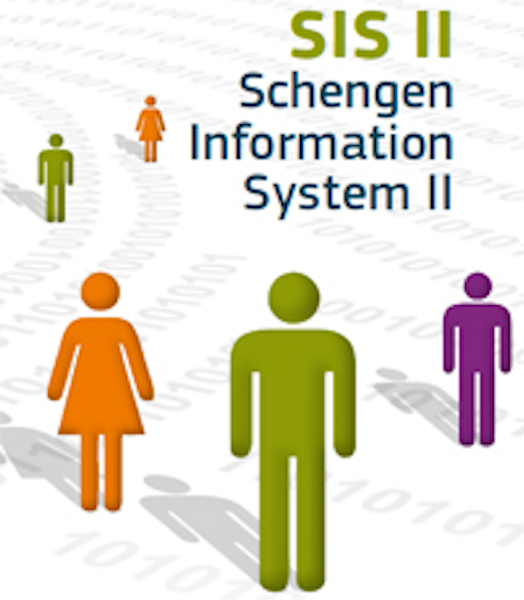 In line with these, the Schengen Information System (also called SIS II) has been established, it is to be meant as a system of information common to each Member State within the Schengen area (data network), fed through the utilization of national data bases, each of these connected to one central database, located in Strasbourg and integrated by a network called SIRENE (Supplementary Information Request at the National Entries). All data, which is considered relevant by each Member State, converges into SIS, in order to track migrations, effectively fight against organized crime, develop decisive cooperation and allow the access to people's and objects' data to avoid security-related shortage. The SIS therefore allows for accessing in few minutes any alert issued by a Schengen State's police authority within the Schengen area. - non-citizen of a Schengen Member State, to whom is interdicted to enter or even move within the Schengen area. In order to prevent violation of personal rights, the “Supervisor for protection of personal data” is entitled to monitor the correct handling of data contained in the computer database, whose involvement may occur ex officio or upon request of the party concerned. Anyone may request to access the SIS for consulting information and disclosing data related to one's own person. To those who are concerned, they are recognized the right to obtain correction of data in case errors occur or to request for deletion if data proves to be invalidated by an error of law. Following modifications introduced by Legislative Decree no. 196/2003 (Data Protection Law), in terms of the concerned party's exercise of the right of access SIS and other recognized rights, as correction, supplementation and deletion, from 1 January 2004 the access has to be considered “direct”. In other words, the above mentioned rights may be executed directly against the authority who holds the core competence of S.I.S. (Schengen Information System) national section, that is the concerned party can contact the Ministry of Interior – Department of Public Security – directly and no longer through the only Supervisor. In case the Ministry of the Interior fails to provide a satisfactory answer, the concerned party may lodge a complaint to the Supervisor for protection of personal data. It is important to question oneself about what being registered in the Schengen archive may result in, that is which consequences the registration bring about. First of all, the registration in the S.I.S common database impedes freedom of movement within the Schengen area, with all those negative consequences that this may lead to. One may think about all those persons who have the need to move from one Country to another to work and the serious economic loses they might experience for the only reason of being reported to the S.I.S. However, there might be cases of totally unlawful alerts, and for this reason worthy to be appealed. Measures taken by Authorities after confirmation of SIS registration may also be unlawful. - it may happen that a Member State in the Schengen area under Article 96 of the Schengen Convention issues an alert while the person is lawfully resident in another Member State. That is because a regularly resident in a Member State of the Schengen area cannot simultaneously be registered in the SIS as “undesirable” person in the Schengen area. - the refusal measure of accomplishment of regularization procedure on the national territory is based on the concerned party's report to the Schengen Information System, although the concerned party at the same time has obtained from those foreign authorities who issued the alert in the S.I.S. deletion of the latter. Under the Schengen Convention, only the State which has issued the alert inserted in the S.I.S. can modify or delete it. The modification or deletion procedure therefore varies according to the State of Schengen area which has issued the report. In Italy, it will be necessary to request the access to the file which is archived in the Italian Head Office of S.I.S. (Schengen Information System SIS) at the Ministry of Interior, and simultaneously request for which authority has issued the alert and reasons behind the issuance. Subsequently (if unlawful alerts will be reported), it will be possible to resort to the Authority who issued the alert by submitting a request of deletion or modification of personal data in the database. The request may be drafted in Italian language or English and must be supported by suitable and proved reasons. In case of unjustified and unlawful refusal of the deletion/modification request, the concerned party could always bring legal proceeding before the Regional Administrative Court (It. TAR). In this case, it is necessary to be assisted by a lawyer. Do you think you have been victim of an unlawful alert to the S.I.S. and want to have more information about? Contact us.